Relaxing, soothing and rejuvenating. Although it is cultivated throughout Europe, the Lavender Essential Oil produced from plants grown in France is by far the most popular, and it offers an almost endless list of medical uses it can be applied to. Use it to ease tired aching muscles, balance head tension and soothe irritated, sore and sensitive skin, or simply chill out after a stressful day. French Lavender Essential Oil has been traditionally produced throughout Provence in the South-East of the country since the 16th century. 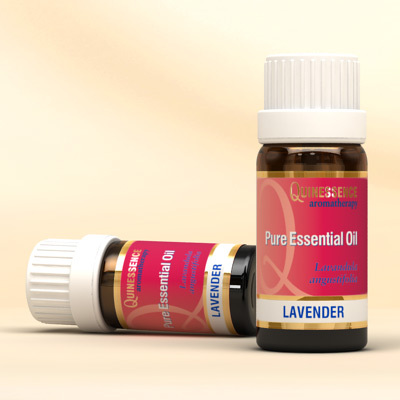 In fact, as far back as the 1st century the Greek military physician Dioscorides, wrote of the use of lavender herb for treating respiratory conditions, and as well as this we now know that Lavender Essential Oil can be used effectively for so much more. Apart from it being the go-to oil for easing stress and tension, it also helps calm restlessness and helps you enjoy a good night’s sleep during times of worry. Keep a bottle of lavender in your first aid kit for emergencies to soothe minor cuts, scrapes and burns while also speeding up the healing process. Lavender Essential Oil is also a highly effective antifungal and antiseptic agent.